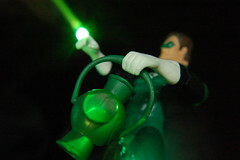 You might not be Hal Jordan. 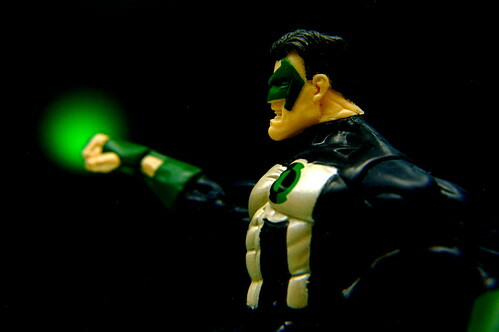 You might not be Kyle Rayner or John Stewart, either. Heck, you might not even be Guy Gardener. The first two on the list are a given, I think. You can’t expect to be healthy and fit if your daily routine involves sitting on a couch for 15 hours a day, chugging Mountain Dew and scarfing Cheetos. The thing is, though, that until you want that changed, nothing will happen. You can read about eating well and running and weight lifting all day long, but until you have the willpower to change your daily routine, nothing will change. You absolutely must have the willpower to stick with it. You must have the willpower to get through this initial weeks when your arms and legs feel like tentacles waving around. You must have the willpower to last through the hardest part of changing your diet into something worth eating. You must have the willpower to understand that the exhaustion can and does turn into extra energy if you stick with it. Anyone can go exercise once or twice and give up. Anyone can eat fruits and veggies for a few days and then go back to Quarter Pounders. But it’s only the people with enough willpower to stick through the initial tough phases that get results. It’s only the people with willpower who effect the change they want in themselves. And it’s only the people with willpower who are worthy to wear the ring.